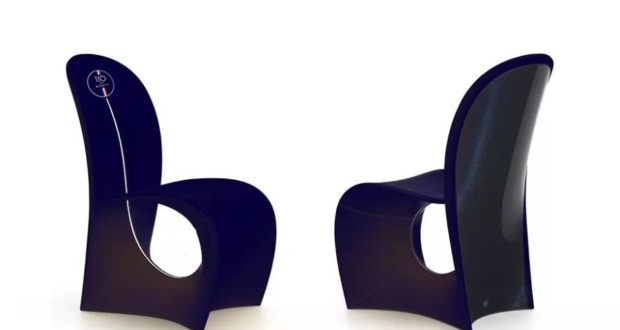 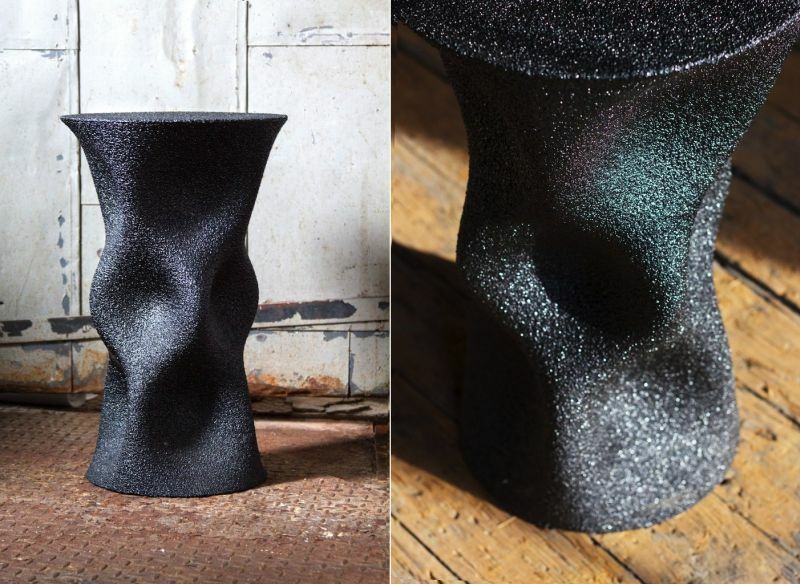 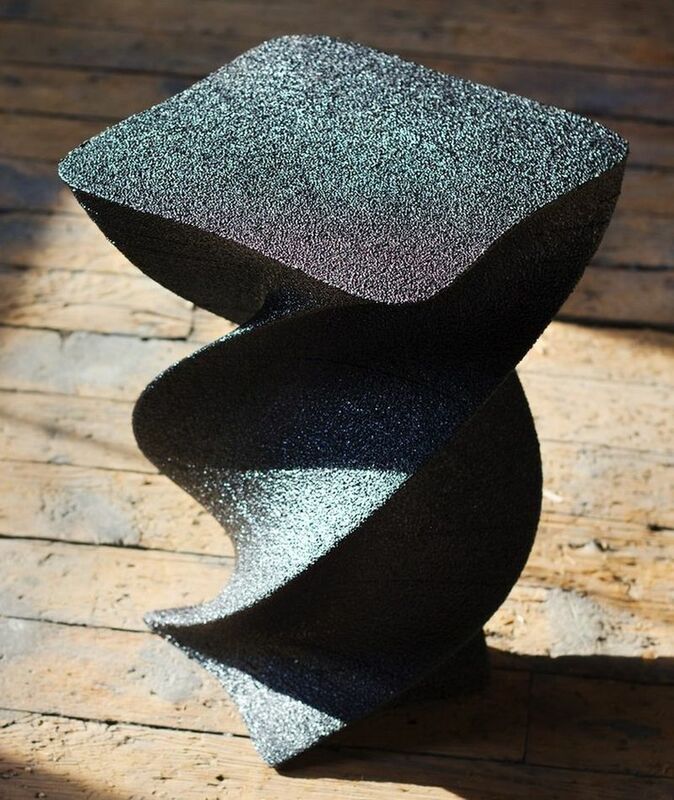 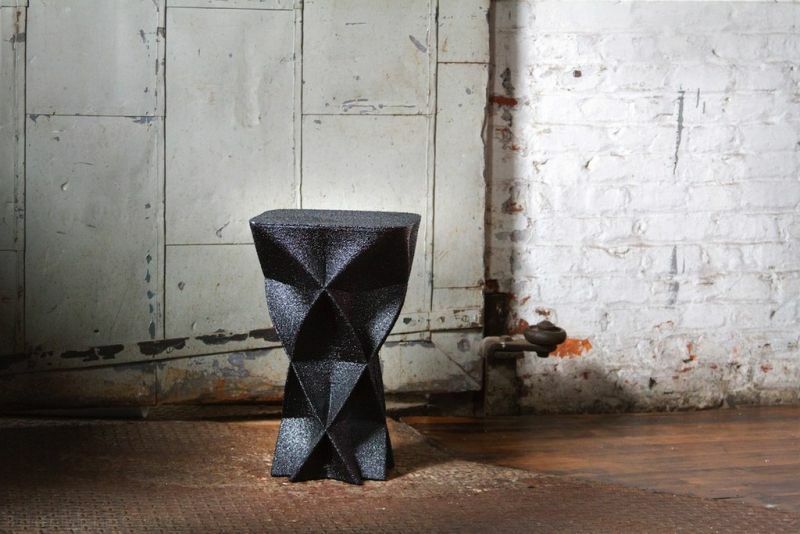 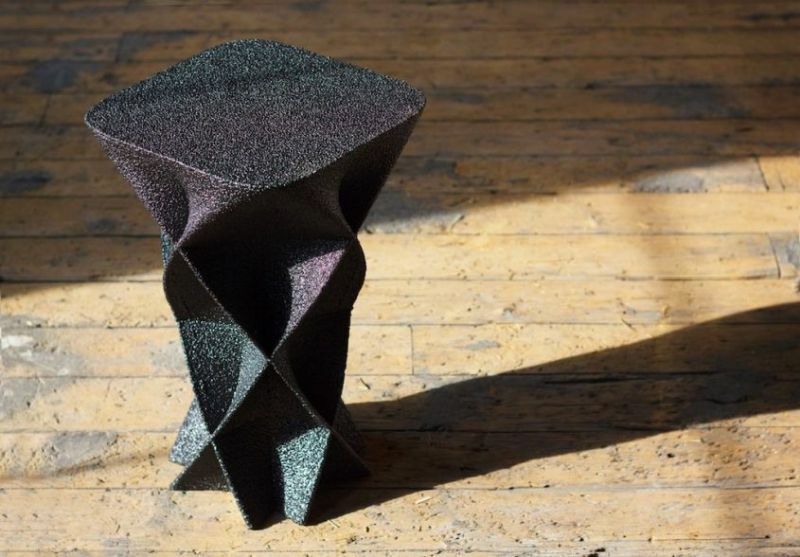 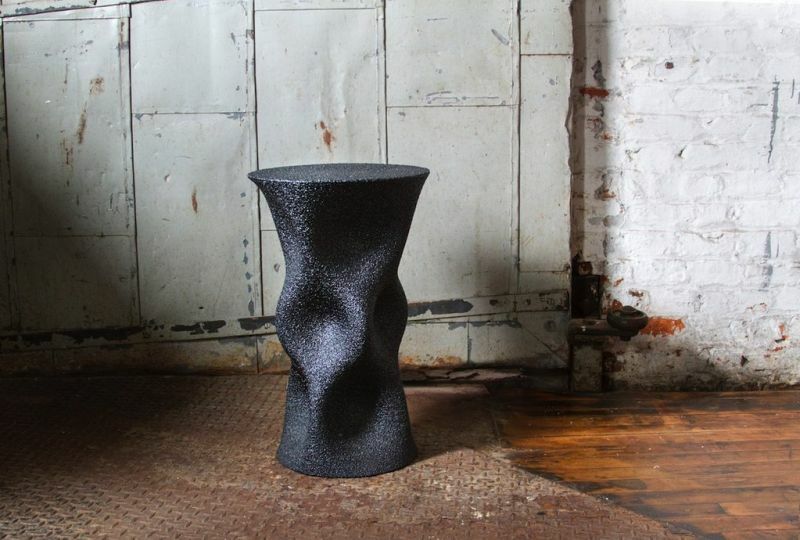 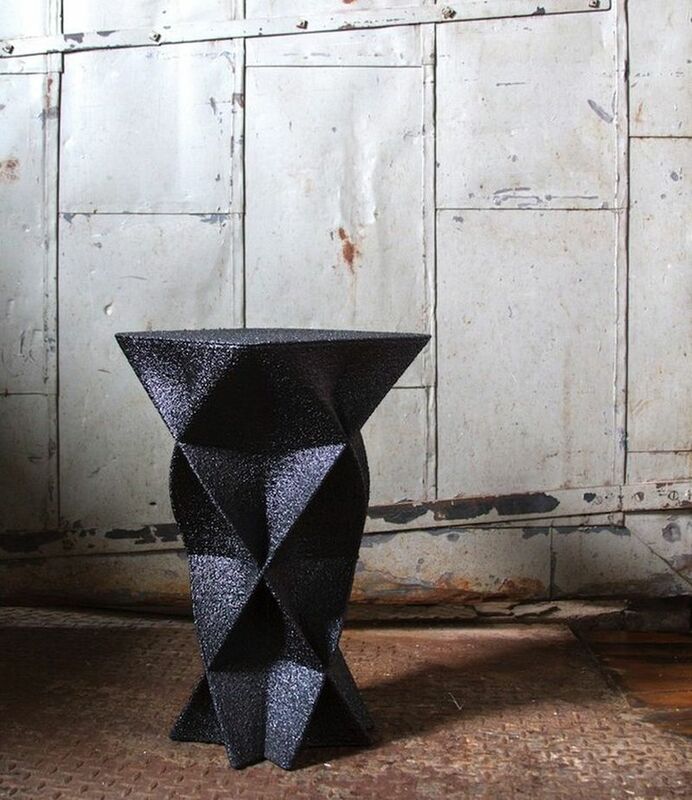 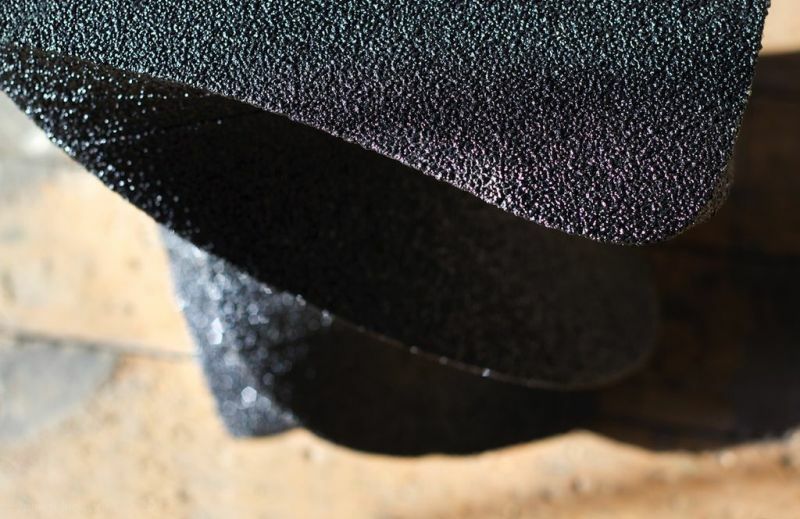 Budmen Industries, a Pennsylvania-based robotics company founded by Isaac Budmen and Stephanie Keefe, launches the new Scoria collection of 3D-printed stools to demonstrate the potential of the 3D-printing in furniture industry. 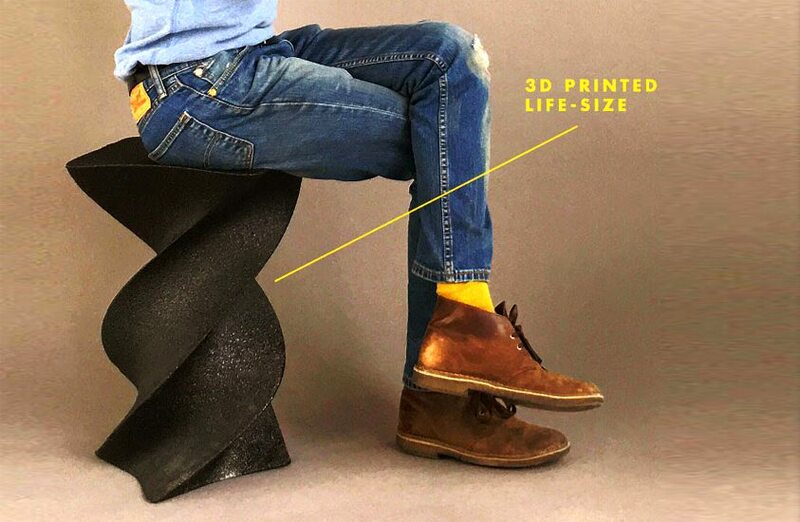 The one-off shapes and curves of these stools are achieved with the Budmen BUILDER, a large-scale 3D printer, which can 3D print complex designs and print them in one go. 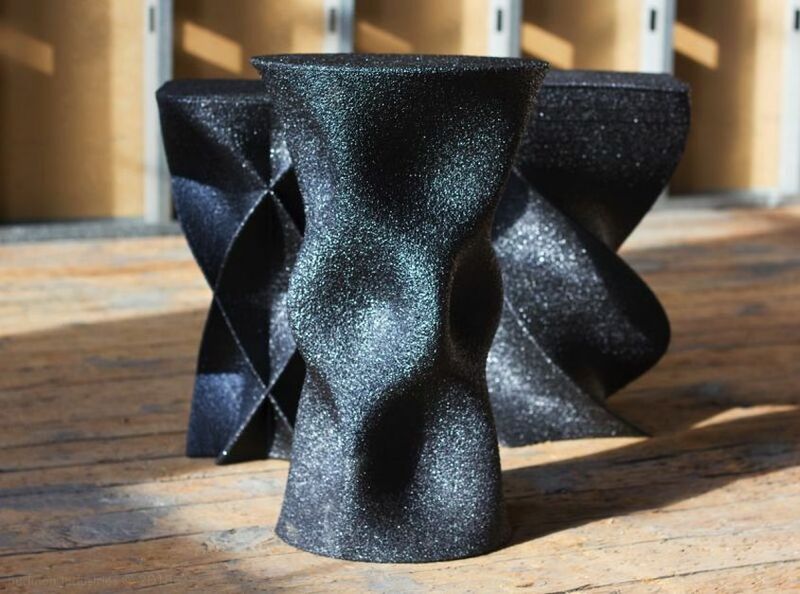 Inspired by the moments in our lives, the swirling, interwoven and geometric shapes of Scoria stools are designed using the latest additive manufacturing technique. 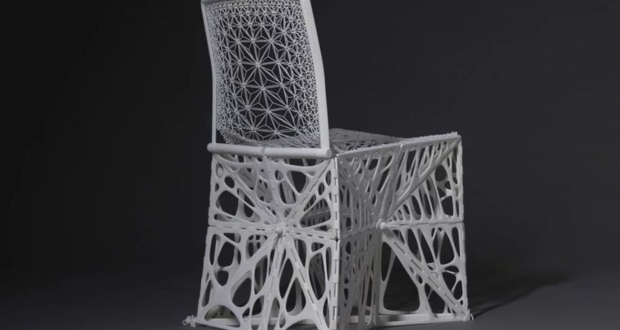 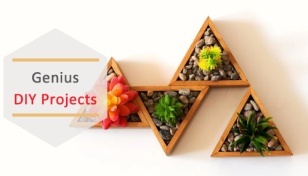 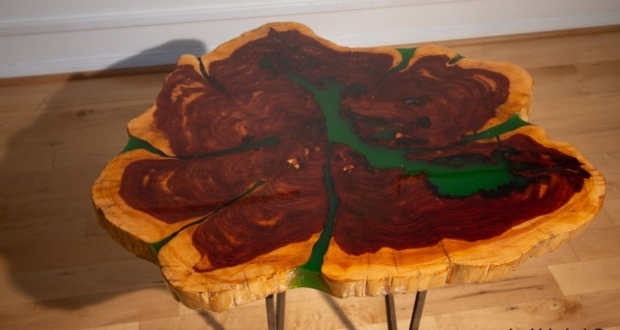 The digital fabrication process takes a minimum of 20-40 hours to complete. 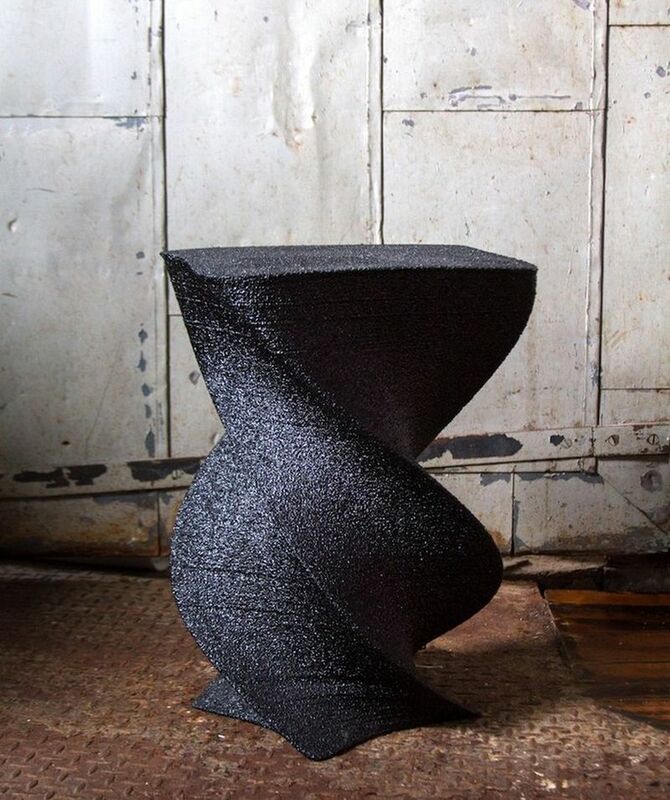 Finally, each stool is finished with a structural resin material for strength and a unique textured volcanic rock-inspired look. 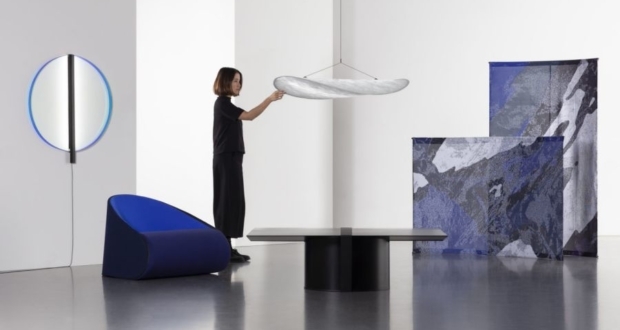 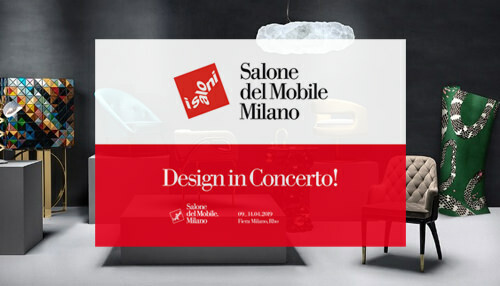 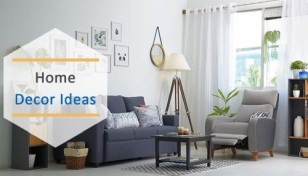 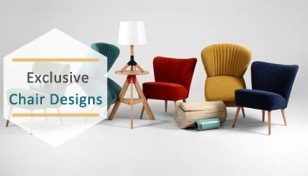 The collection consists of three stools featuring different designs: the Helix, the Wave, and the Kaledioscope, inviting you to relive your childhood memories. 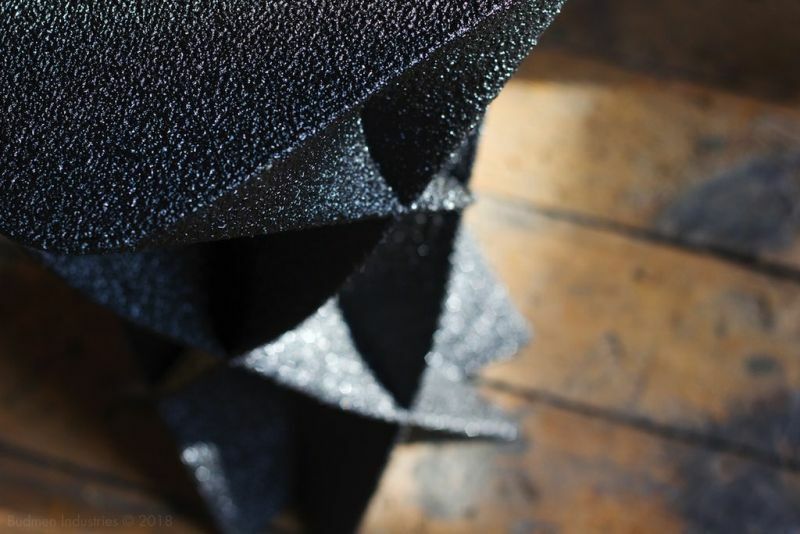 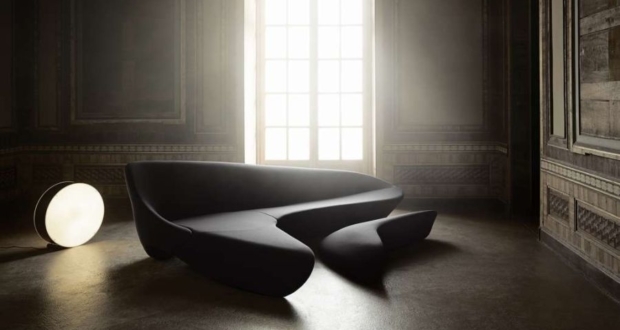 The Scoria collection gives a glimpse of the future of furniture that reflects a unique individuality. 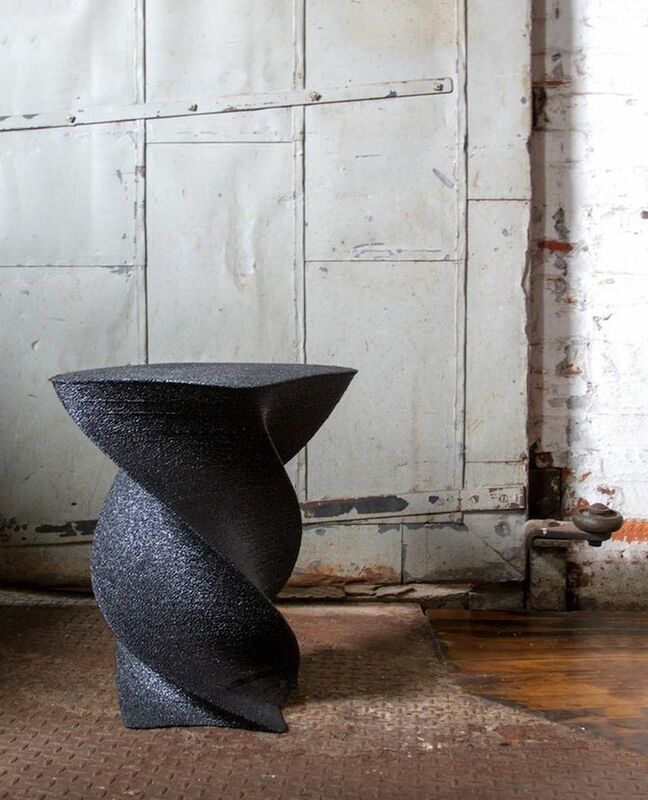 If you want your home to be future perfect, Scoria is a great option at $1,100.